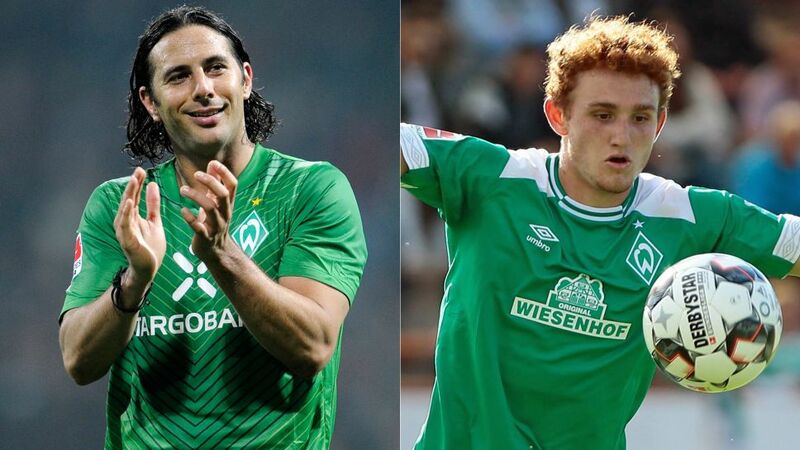 Bundesliga | Josh Sargent: The new Claudio Pizarro at Werder Bremen? Josh Sargent: The new Claudio Pizarro at Werder Bremen? With Josh Sargent closing in on a first Bundesliga appearance for Werder Bremen, bundesliga.com asks whether the USA international striker could be the next Claudio Pizarro at the club. "Josh Sargent's time with the U23s is over. He looks to be way beyond that now." Those were the words of Bremen coach Florian Kohfeldt, the same coach who is set to give the USA international forward his first taste of Bundesliga football. Throwing a youngster in at the deep end is always a measured gamble with the man responsible for putting his faith in his prodigy also the first one to have the finger pointed at him if the bet is a bust. But Kohfeldt must be feeling quite confident as he prepares to give Sargent a promotion. Only Borussia Dortmund's Christian Pulisic and New England Revolution's Juan Agudelo were younger when they scored their second international goal, Sargent was just 18 when he claimed his second — in just his fifth senior outing for his country — in the friendly with Peru on Wednesday. The legendary Peruvian is back at the Weser Stadium for a fourth spell with the club that gave him his big break in Europe, just as Bremen are preparing to do with Sargent. Having just turned 40, Pizarro most firmly represents the club's past while Sargent is certainly its future, but the presence of the Bundesliga's all-time foreign-born leading scorer is a major boon for the young forward, who can learn much from the veteran former Chelsea and Bayern Munich man. There is little doubt that was in Bremen's thinking when they brought him back 'home' from Cologne. "The young players can take advantage of him, because he can pass on all his experience and quality," explained Kohfeldt. "He's a role model for the youngsters." Being able to pick the brains of a living Bundesliga legend will be of great benefit to Sargent, but the Missouri-born teenager has shown he already has the single-minded work ethic that took Pizarro to the top of the football tree. “From a young age, he stood out for being an ideal player to coach and an ideal player to have as a teammate,” said Kevin Kalish, technical director at the Scott Gallagher Soccer Club where Sargent netted his first goals aged eight. "The first thing I recognised was not something like skills or technical things - it was his mentality on the pitch," added Bremen scouting director Tim Steidten. "How he talks to his teammates, how he was running for every ball… he was a team player." The son of proud university players, Sargent first showed his passion for the game aged three — according to his mother, Liane — and after progressing at the Scott Gallagher Soccer Club, he headed over 1,000 miles to the south in 2015 to join the USMNT U17's Residency Program. That's a brave and big decision for a 15-year-old, and further testimony to the iron determination Sargent had to succeed. That will comes married to immense talent and a desire to fine-tune it. Goals are the striker's stock in trade, and Sargent — like Pizarro — not only has the nose for them, but also never gets tired of seeing the ball hitting the back of the net. "Scoring goals made me happy so I just wanted to keep doing it. It came naturally to me," added Sargent, who signed a professional contract with the Green-Whites on the day of his 18th birthday in February. "I just love the feeling so it’s what I love to do still to this day." Bremen supporters will love him even more if he manages to maintain his breathtaking strike rate of six goals in his first 10 games for Bremen's U23s this season — see what Kohfeldt means about him being "way beyond" them? He also scored in a 5-2 friendly win over Meppen with the first team during the September international break, a goal that was actually the fruit of a smart one-two with Pizarro. "Everyone has seen the qualities Josh has, me too," explained Kohfeldt of his flame-haired six-foot striker. "His real team is the professionals. That is his home." Sargent's arrival looks imminent, and — like when Pizarro arrived in Bremen back in 1999 at the age of 20 — expect him to get cosy and start banging in the goals. Click here for more Werder Bremen news and features!